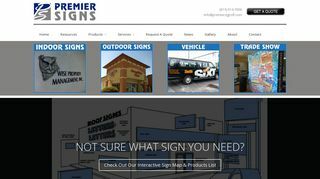 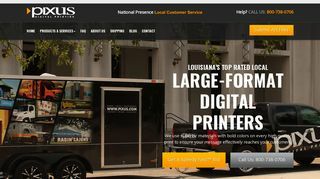 Premier Signs – Located in Temple Terrace, FL, and provides custom design signs and vinyl banner poster printing. 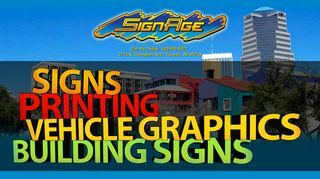 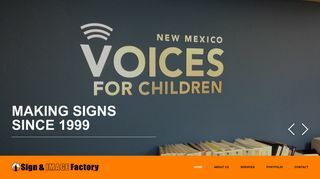 SignAge USA – Tucson company will design, layout, produce and install all types of non-electrical signs. 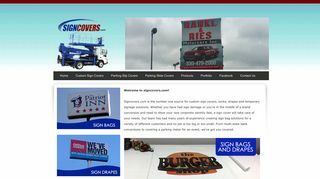 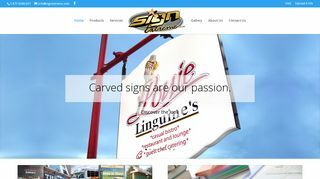 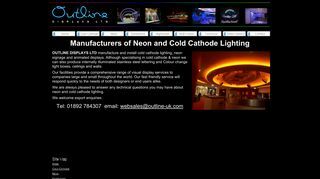 Sign & Image Factory – Full service sign shop offering a wide range of sign products and services. 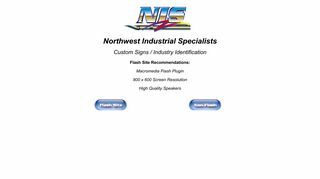 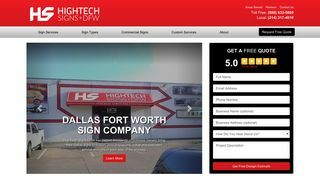 Northwest Industrial Specialists – Provides industrial and architectural signs and structures for business and public applications. 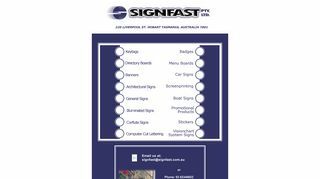 Signfast Pty Ltd – Australian company providing services to meet small to large signage needs. 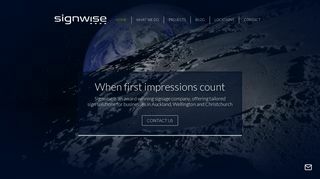 Signwise Wellington – Based in Wellington, New Zealand and produces signage nationwide. 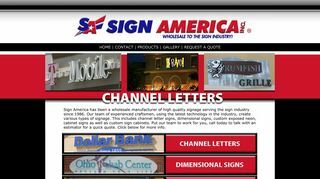 A member of the Signwise Group of Companies. 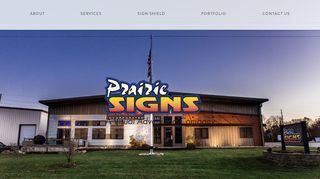 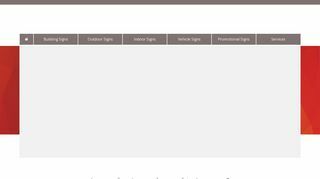 Sign A Rama – Interior and exterior signs in a variety of media. 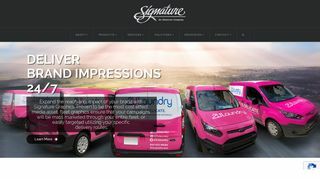 Based in Australia.